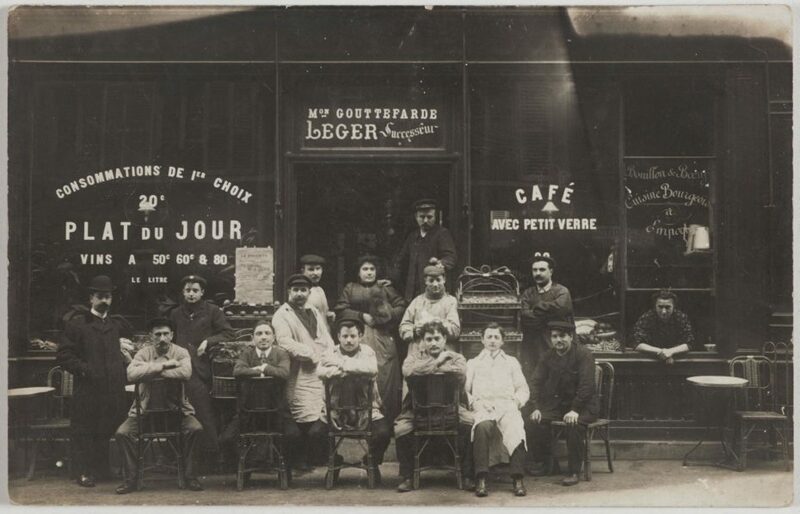 Café Maison Gouttefarde Leger, circa 1907, located at 29, rue de la Fontaine-au-Roi (11th arrondissement). 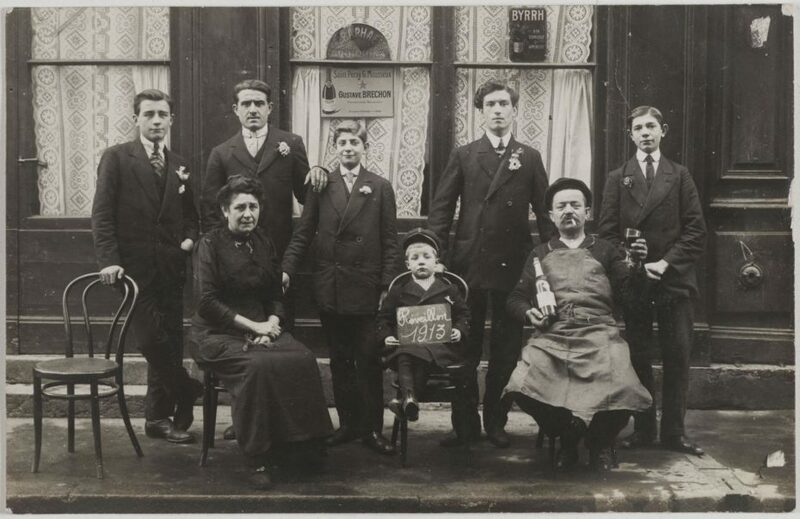 Today, the location is closed, but you can still find clues to the café that once existed at number 29. 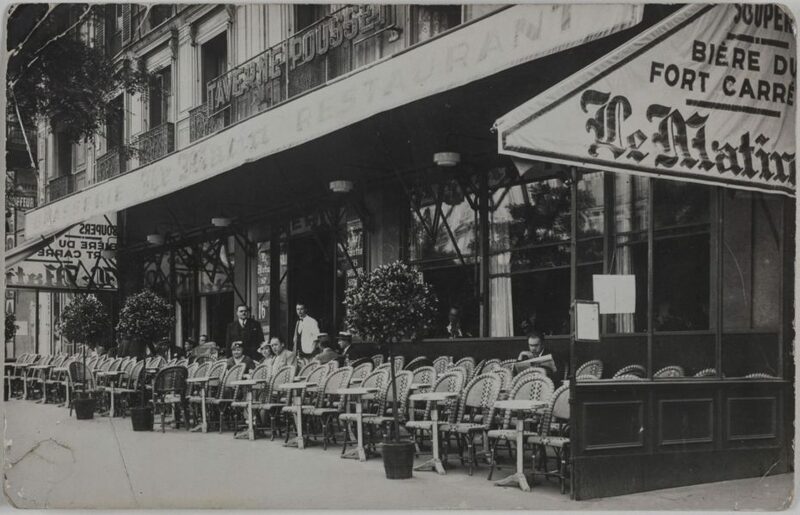 Compare the 1907 photograph with Google Street view (below), and you’ll notice the detail of the railings below where the woman hangs out of the window can still be seen today. 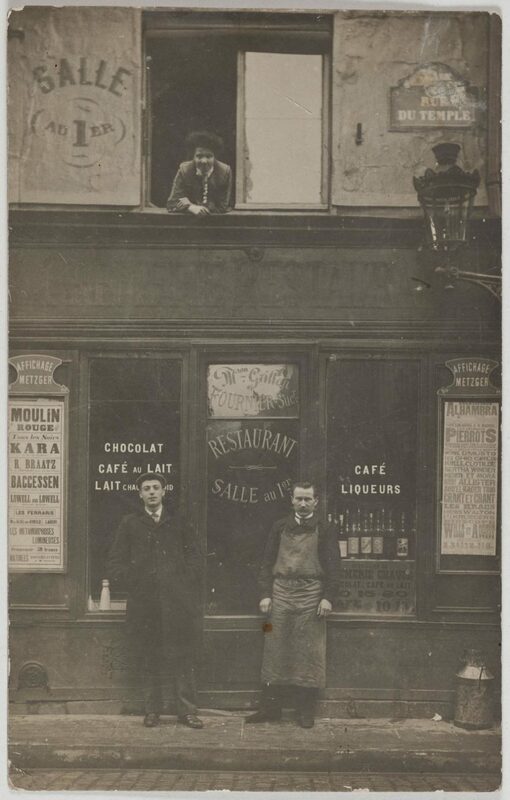 It also looks like it had a second life as a “peausserie” (leatherware store) before being boarded up for good. 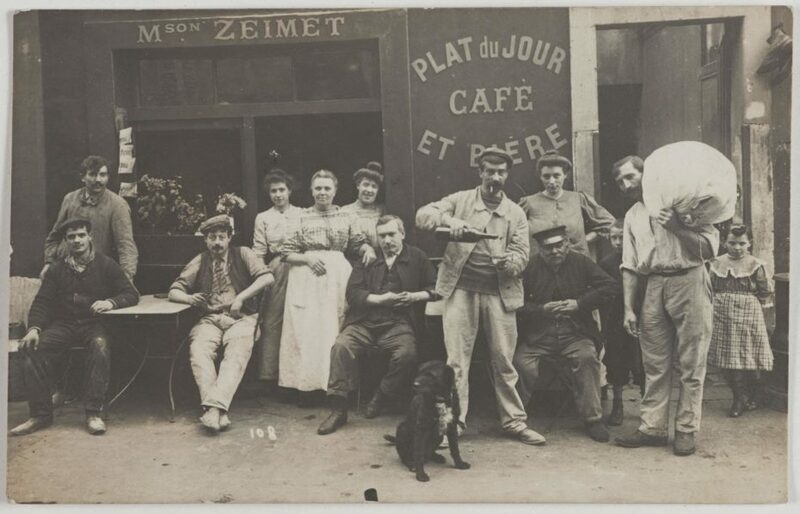 Maison Zeimet, circa 1910-1912, located at 23, rue Chaudron (10th arrondissement). Today it’s just a private residence. 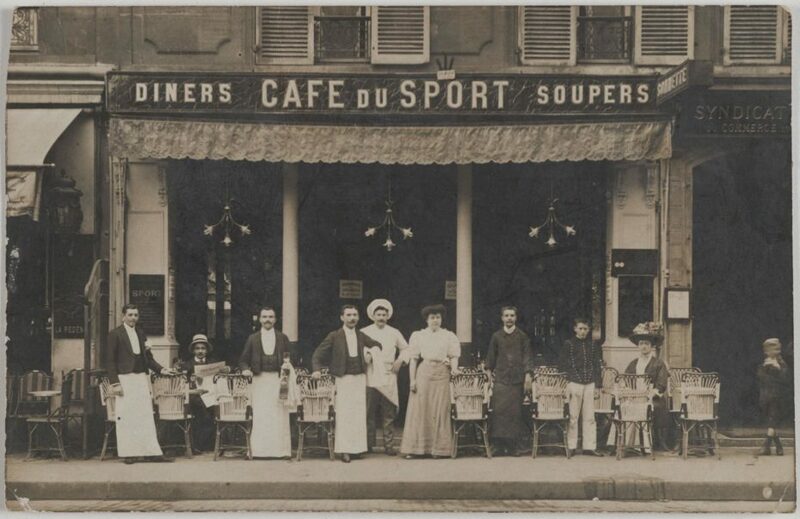 Café du Sport, circa 1908, located at 163 Saint-Honoré (1st arrondissement). Now at this place, a Japanese restaurant. 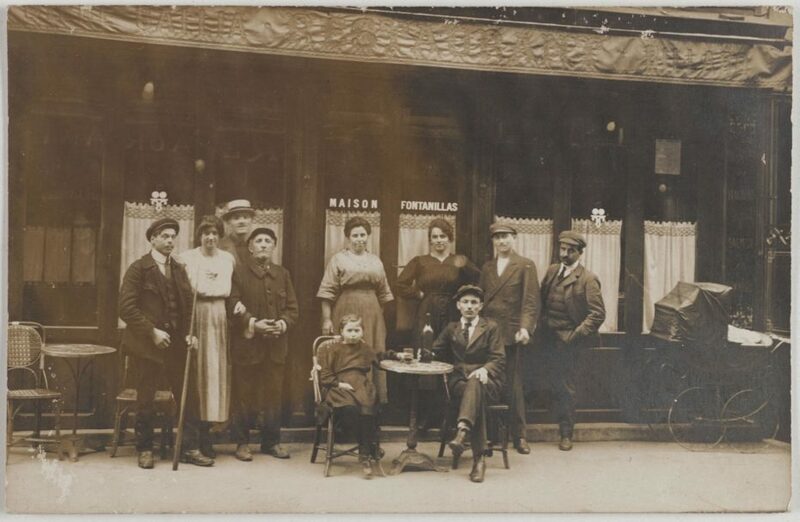 Maison Fontanillas, Circa 1913-1920, located at 14, rue Berzélius (17th arrondissement). Now at this place, the shopfronts have been turned into what looks like private residences or offices. 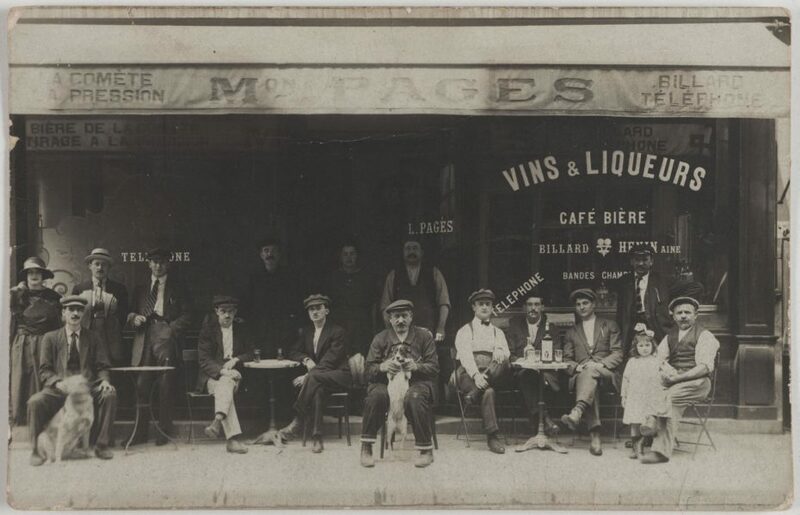 Circa 1920- 1925, Maison L. Pages, address unknown. 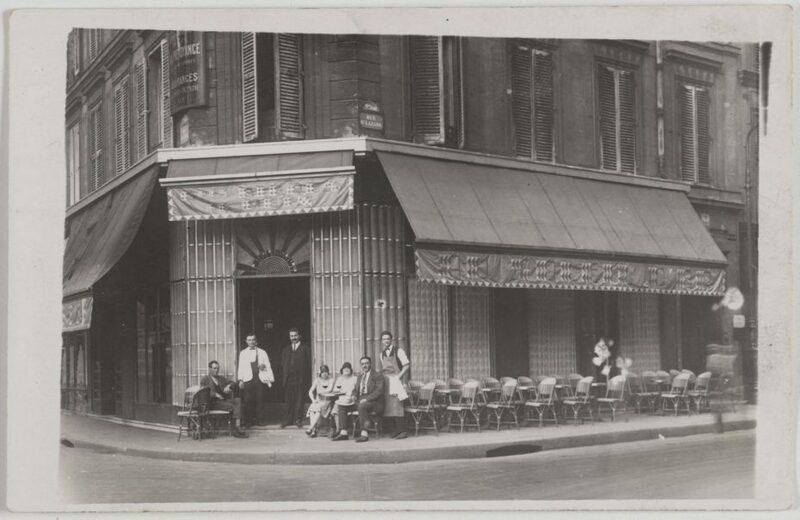 Maison H.Venot, Circa 1913, 19 rue Rodier (9th arrondissement). Now, a small shop. 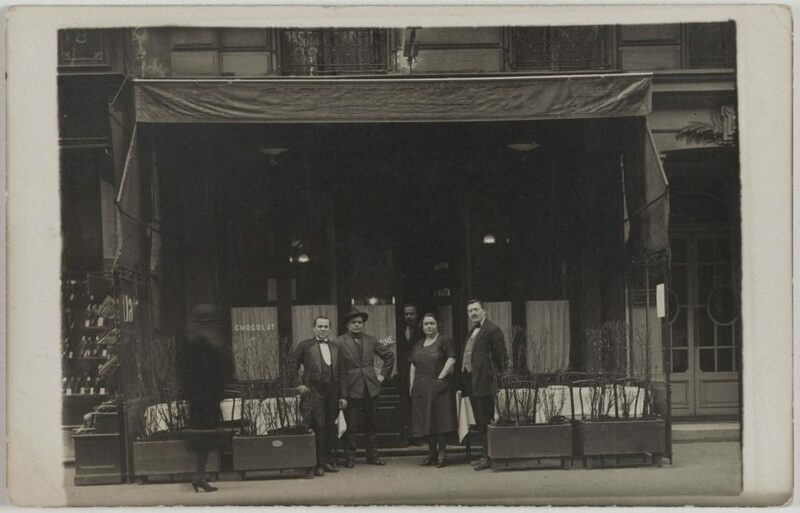 Brasserie Gavarnie, circa 1919-1922, French-Italian restaurant, 155 Boulevard Saint-Germain (7th arrondissement). 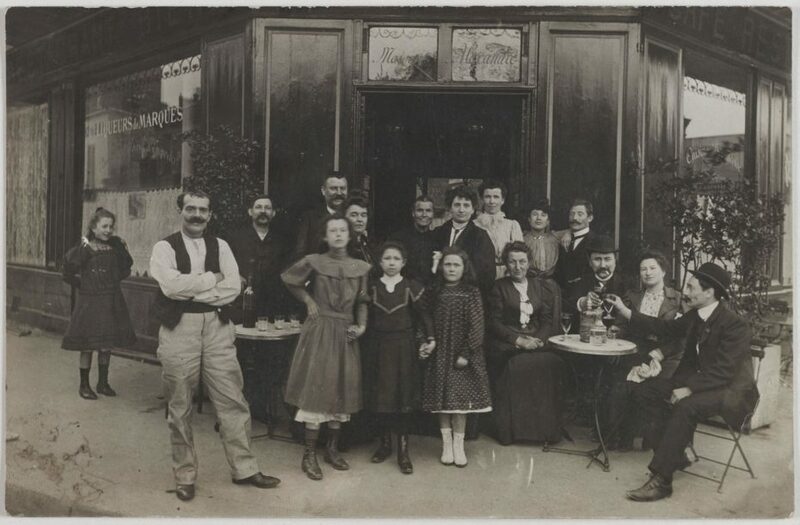 Today, it’s Café Louise. 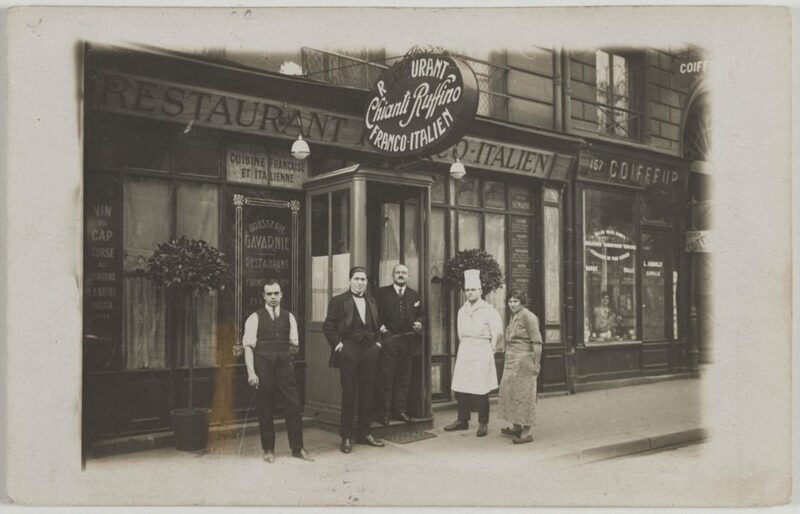 Restaurant Les Soleil d’Or (the golden sun), circa 1920s located at 66, rue Saint-Lazare and 2, rue Blanche (9th arrondissement). 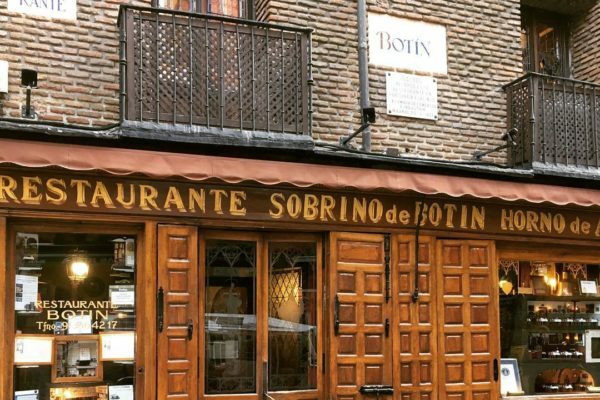 Unfortunately, this beautiful café is now merely a bank. 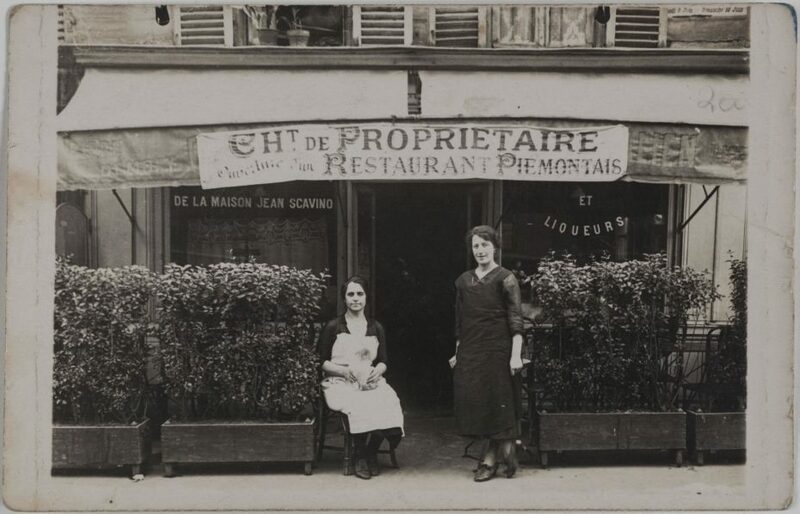 Maison P. Matta, Circa 1927-1937, located at 76, rue de Turbigo (3rd arrondissement). Now at this place is a hot pink sushi spot. 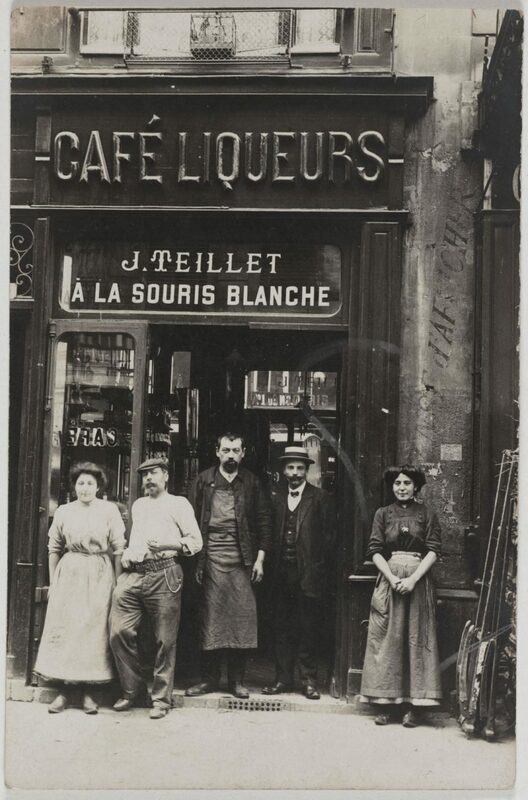 À la Souris Blanche (at the white mouse), Circa 1913 – 1920, located at 31, rue de la Ferronnerie (1st district). 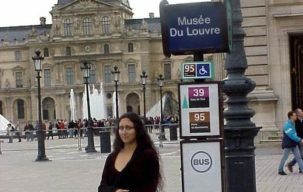 Replaced by clothing stores. 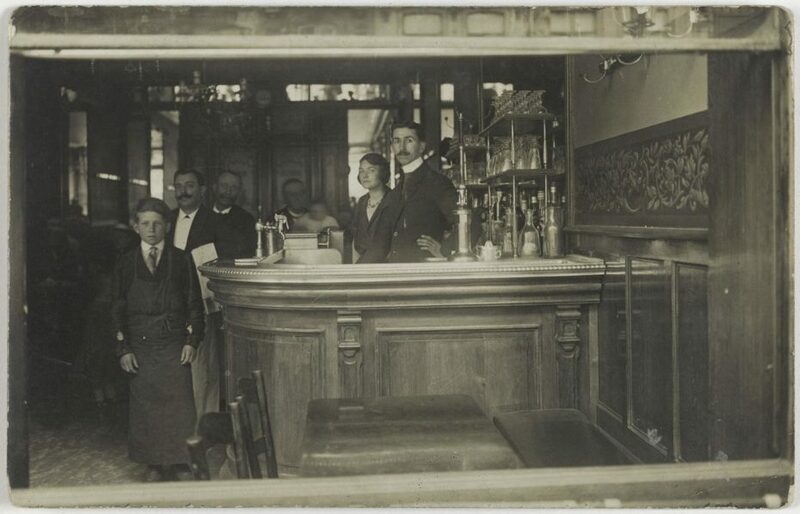 Café at 160, rue du Temple (3rd arrondissement). Circa 1910. Replaced by an insurance building. 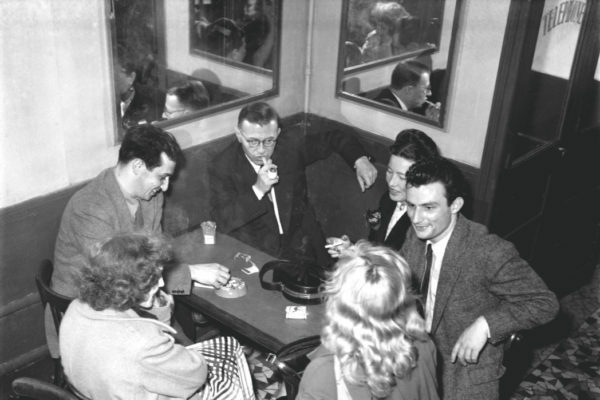 Café at 58, rue du Temple (4th arrondissement. 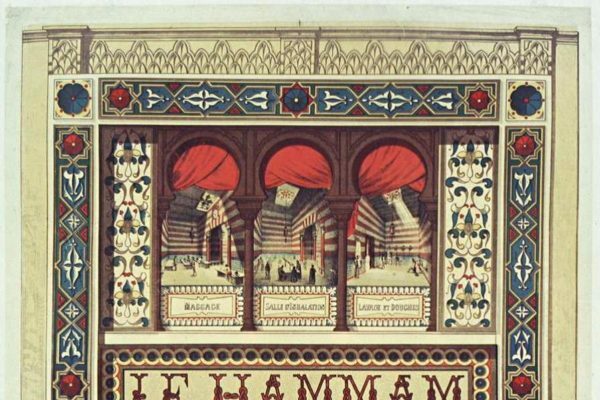 Replaced by a bank and an herbal store. 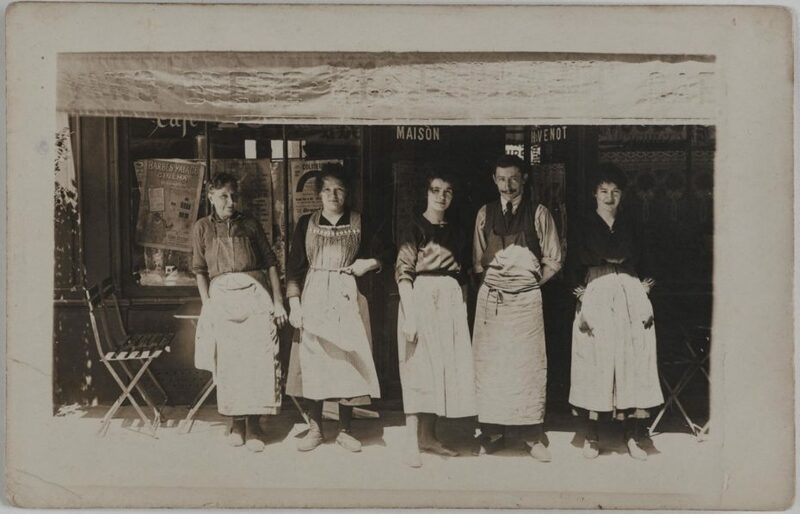 Maison Grillon, 107, rue du Temple (3rd arrondissement). Circa 1908. The entire building seems to have been removed. Replaced with a wholesale clothing store. Circa 1903. 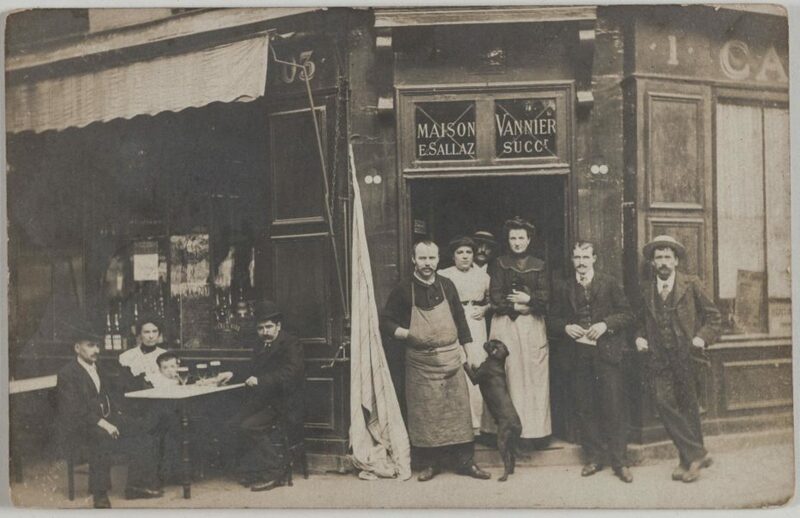 Maison Vannier, street unknown. 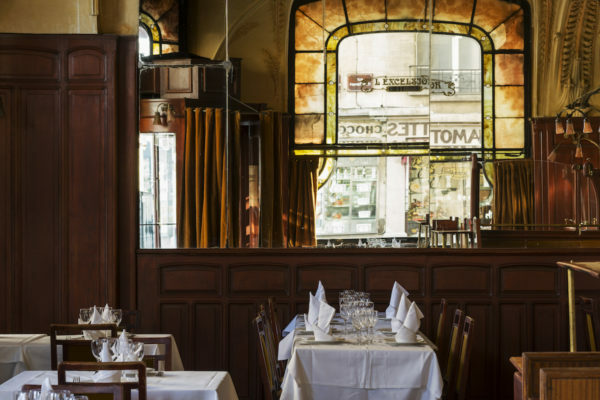 Maison Jean Scavino Italian restaurant. 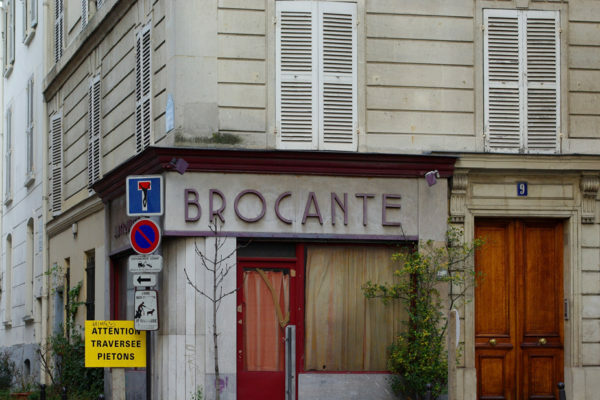 253, rue du Faubourg Saint-Antoine (11th arrondissement). Circa 1924. Entire building replaced with modern apartments and a health insurance company. 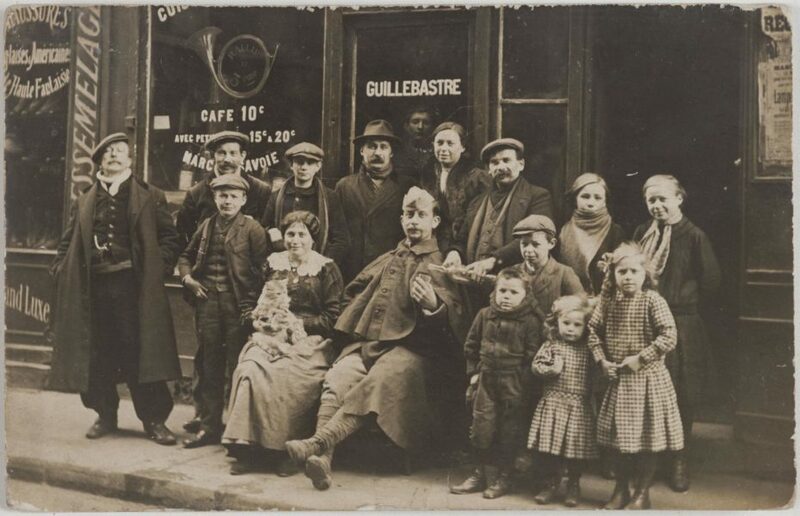 Café Guillebastre, 98, rue du Temple (3rd arrondissement). Circa 1915-1920. Replaced with a wholesale shop. 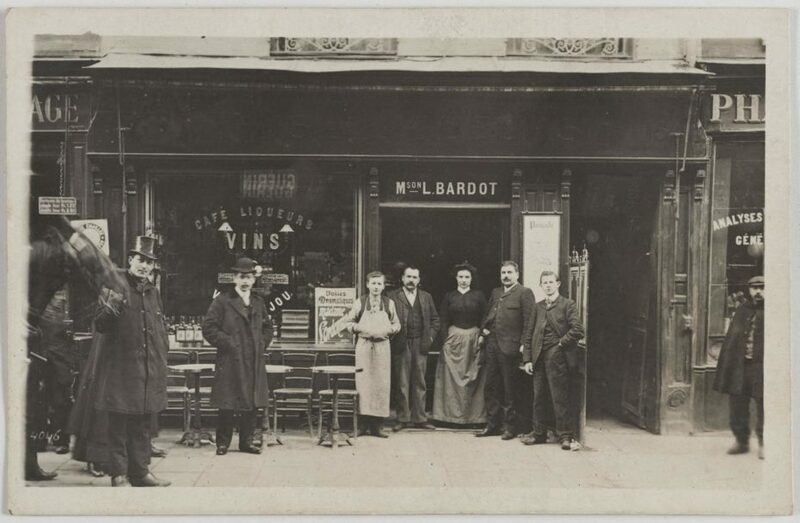 Maison of L. Bardot, 15, rue du Faubourg St. Antoine (12th arrondissement). Replaced by high street shops. 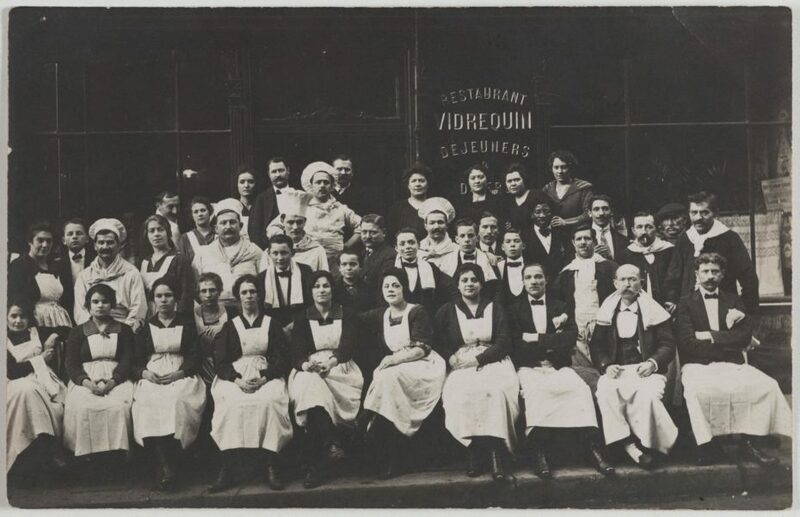 Restaurant Vidrequin. 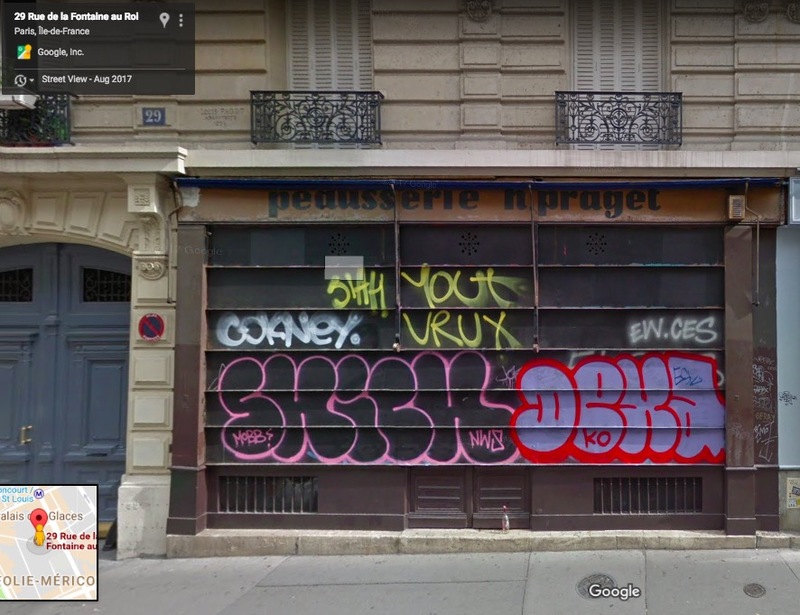 116, rue de Provence (9th arrondissement). Circa 1914-1920. 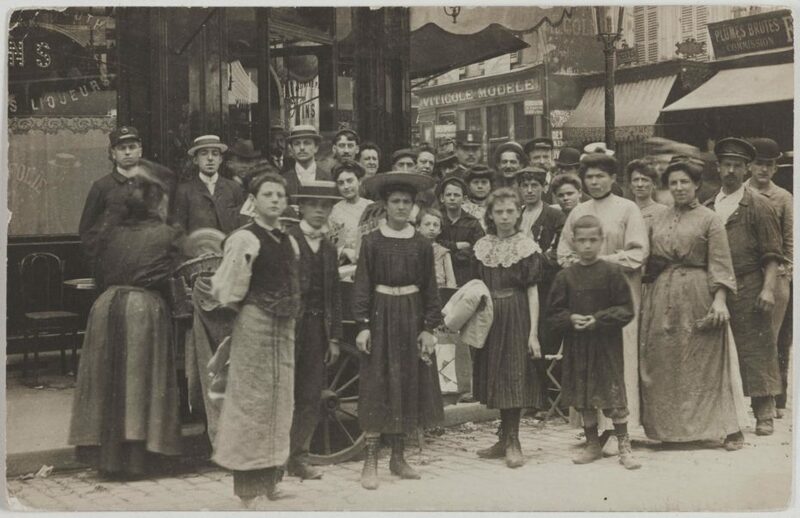 Replaced by the Printemps department store. 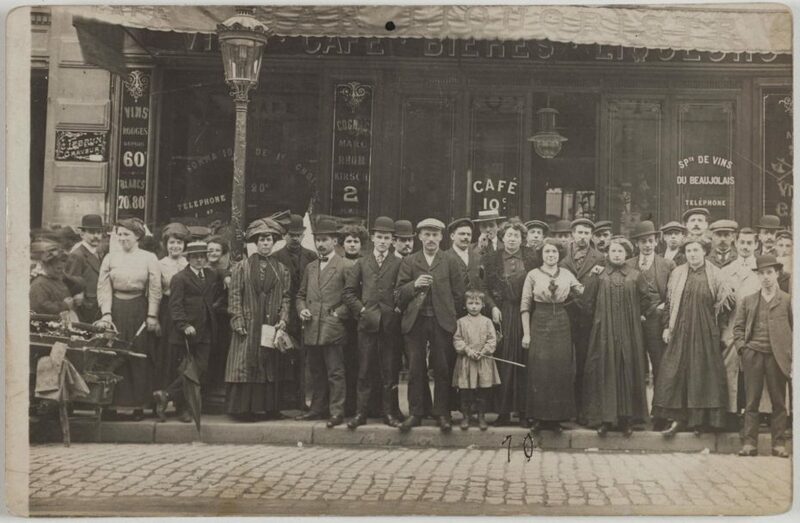 Continue digging through the archives here and find more Paris time travel destinations in the vault below.